Google is reportedly ending support for Wi-Fi Protected Setup (WPS) in Android P. WPS is essentially a protocol that enables a client Wi-Fi device to connect to a router using a PIN or a push-button. It was devised to be used as a secure and faster way to connect a router to wireless devices. However, in recent few years, loopholes have been discovered. Thus, it was found that it made users susceptible to hacking especially those on personal Wi-Fi. According to the latest reports, this method will not be available for Android P users are all. 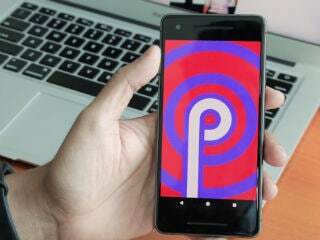 Android P was first announced back in March 2018, and ever since then, functionality and features have been steadily announced by Alphabet-owned Google that also revealed Android P’s functionality extensively at annual developer conference I/O 2018. However, for the first time, it has been noticed that Google is planning on removing the WPS support with the upcoming Android update. As per an Android Police report, some Google Issue Tracker users discovered the change in some strings related to WPS in Android that are now marked as ‘deprecated’, meaning it is no longer supported. This suggests that Google will possibly not bring back the feature once it releases Android P officially. Since WPS has been seen as a security issue for a long time, Google removing the feature at OS-level is not surprising. However, the technology giant has not provided any official details on the move.